(forward HABANOS or company Organizer) plans to conduct a free promotion that will be developed in accordance with the provisions of these rules in order to disclose the Festival del Habano 2017. The promotion participation will be open the 19th of January 2017, until the 30th of January 2017, both inclusive. If for force majeure reasons would be necessary to postpone, modify or repeat this promotion, this fact will be notified to all participants with enough time in advance, giving the amendment the same degree of publicity to the present bases. The advance time will be 3 days. All people older than 18 years old will be able to participate in this promotion, according to act as it is determined in the fourth point of these present conditions. It may not participate in the promotion the employees of Habanos S.A. or the companies involved in the implementation of the promotion (Tapsa Y&R S.L.) or relatives in first grade of all these groups. In the event that would be winning any of the people excluded from participation, they will forfeit the right to get the prize retrieved, proceeding to deliver the prize to the next person who satisfies the conditions of valid participation designated as substitute following by the draw made. Throughout the promotional period the organizing company will launch 1 or more tweets about Festival del Habano 2017 and promotion consists of make “retweet” on these tweets by the users. In consequence and given that the promotion will take place on Twitter, for participate will be necessary to have a profile with at least thirty (30) followers on Twitter and to be a follower of Habanos profile: @Habanos_Official. Each retweet made within the period promotional, will give right to a participation in the draw that is held among all them participating the day 3 of February to determine to the winner of the promotion, giving is to know the winner in the days immediately following to this date. The organizing company from the list of participants shall be drawn at random to a winner and 5 alternates who will make use of in the event that winner renounce the prize awarded, has not been located within the specified time, or does not comply with the requirements set out in these conditions. The organizing company reserves the right to select the content of your social networks which may remove content which it deems contrary to the spirit of the promotion or that, in his opinion, are offensive, contrary to morality, public order, these rules or applicable law. Similarly, users whose comments, tweets, or content to be contrary to law, morality or public order may be removed from the promotion. The organizing company will be exonerated from any liability that may arise from the contents or opinions issued by participants through the social network, either because they fail to comply with image rights, protection of personal data or rights of intellectual or industrial property of third parties. The promotion will take place on Twitter. However, Twitter does not endorse or managed in any way the promotion. A time determined the winner, this will be contacted by the company organizing through message direct from Twitter. The organizing company asked to be put in contact, by e-mail to the address that will be indicated to you giving you a maximum period of three (3) days from the date of notification. In subsequent communications the winner will be the information necessary to be able to enjoy the prize. If after that period the winner had not contacted the company organizing means that the prize becomes the first deputies who will continue to be the same procedure. If exhausted deputies would have been able to be the prize means that this is lost. 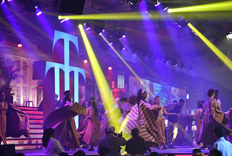 A unique Prize consisting of two tickets will be drawn to attend different events of the 19th Festival del Habano (2017) as a welcome night, visit plantations, visit to Habanos factories, international seminar, Gala evening and the trade fair. 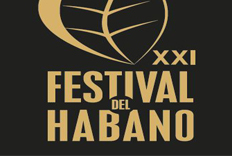 The 19th Festival del Habano 2017 will be held in Habana, Cuba, from 27 February to 3 March 2017. The prize will exclusively include entries for the event, while not included travel, accommodation, diets or any other concept that exclusively borne by the winner. Both the winner and their companion are responsible for having much documentation is needed to travel to the country of destination. In case of impossibility the organizing company could not ensure winner the enjoyment of the intended Prize, this is committed to inform the winner in the shortest possible time. The winner is entitled to renounce the prize won, however it may not in any case exchange it for another one or its monetary value. Personal data provided by the participants will be treated only with the purpose of managing your participation in the promotion and contact in case of being winners. The participation in the promotion is the acceptance in its all of them present bases, and may be consulted by them participating in http://www.habanos.com. The organising company reserves the right to remove any participant who defraud, alter or disable the functioning and the regulatory and normal course of this promotion as well as the resolution of any question derived from this promotional activity. Also the organising company may, in the case of detecting a fraudulent participation, modify these conditions in those provisions that were relevant to the proper functioning of the promotion.